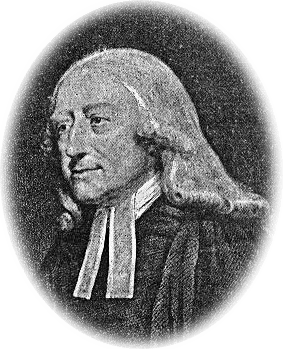 Thus therefore pray ye – He who best knew what we ought to pray for, and how we ought to pray, what matter of desire, what manner of address would most please himself, would best become us, has here dictated to us a most perfect and universal form of prayer, comprehending all our real wants, expressing all our lawful desires; a complete directory and full exercise of all our devotions. Thus – For these things; sometimes in these words, at least in this manner, short, close, full. This prayer consists of three parts, the preface, the petitions, and the conclusion. 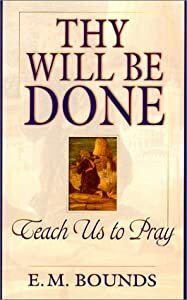 The preface, Our Father, who art in heaven, lays a general foundation for prayer, comprising what we must first know of God, before we can pray in confidence of being heard. It likewise points out to us our that faith, humility, love, of God and man, with which we are to approach God in prayer. Our Father – Who art good and gracious to all, our Creator, our Preserver; the Father of our Lord, and of us in him, thy children by adoption and grace: not my Father only, who now cry unto thee, but the Father of the universe, of angels and men: who art in heaven – Beholding all things, both in heaven and earth; knowing every creature, and all the works of every creature, and every possible event from everlasting to everlasting: the almighty Lord and Ruler of all, superintending and disposing all things; in heaven – Eminently there, but not there alone, seeing thou fillest heaven and earth. 1. Hallowed be thy name – Mayest thou, O Father, he truly known by all intelligent beings, and with affections suitable to that knowledge: mayest thou be duly honored, loved, feared, by all in heaven and in earth, by all angels and all men. 2. Thy kingdom come – May thy kingdom of grace come quickly, and swallow up all the kingdoms of the earth: may all mankind, receiving thee, O Christ, for their king, truly believing in thy name, be filled with righteousness, and peace, and joy; with holiness and happiness, till they are removed hence into thy kingdom of glory, to reign with thee for ever and ever. 3. Thy will be done on earth, as it is in heaven – May all the inhabitants of the earth do thy will as willingly as the holy angels: may these do it continually even as they, without any interruption of their willing service; yea, and perfectly as they: mayest thou, O Spirit of grace, through the blood of the everlasting covenant, make them perfect in every good work to do thy will, and work in them all that is well pleasing in thy sight. 4. Give us – O Father (for we claim nothing of right, but only of thy free mercy) this day – (for we take no thought for the morrow) our daily bread – All things needful for our souls and bodies: not only the meat that perisheth, but the sacramental bread, and thy grace, the food which endureth to everlasting life. 5. And forgive us our debts, as we also forgive our debtors – Give us, O Lord, redemption in thy blood, even the forgiveness of sins: as thou enablest us freely and fully to forgive every man, so do thou forgive all our trespasses. 6. And lead us not into temptation, but deliver us from evil – Whenever we are tempted, O thou that helpest our infirmities, suffer us not to enter into temptation; to be overcome or suffer loss thereby; but make a way for us to escape, so that we may be more than conquerors, through thy love, over sin and all the consequences of it. Now the principal desire of a Christian’s heart being the glory of God, (ver. 9, 10, ) and all he wants for himself or his brethren being the daily bread of soul and body, (or the support of life, animal and spiritual, ) pardon of sin, and deliverance from the power of it and of the devil, (ver. 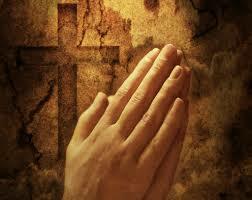 11, 12, 13, ) there is nothing beside that a Christian can wish for; therefore this prayer comprehends all his desires. Eternal life is the certain consequence, or rather completion of holiness. III. For thine is the kingdom – The sovereign right of all things that are or ever were created: The power – the executive power, whereby thou governest all things in thy everlasting kingdom: And the glory – The praise due from every creature, for thy power, and all thy wondrous works, and the mightiness of thy kingdom, which endureth through all ages, even for ever and ever. It is observable, that though the doxology, as well as the petitions of this prayer, is threefold, and is directed to the Father, Son, and Holy Ghost distinctly, yet is the whole fully applicable both to every person, and to the ever – blessed and undivided trinity. Luke xi, 2.